The Adventures of Figaro Pho has been going from strength to strength since its debut in 2012, having also picked up the AACTA Award for Best Children’s Television Series earlier this year. 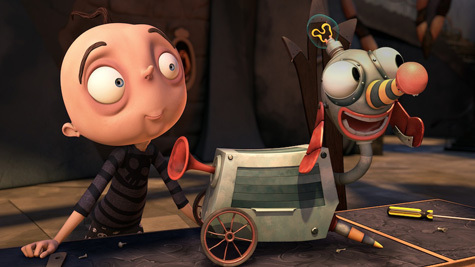 Figaro Pho is a warm-hearted, adorable, quirky and mischievous character who just happens to be afflicted with a multitude of weird and wonderful phobias. From the fear of bathing (ablutophobia) to the fear of the great mole rat (zemmiphobia), Figaro has them all - A to Z – and he keeps discovering more! The Adventures of Figaro Pho is currently having an encore screening at 8:45pm weeknights on ABC3.